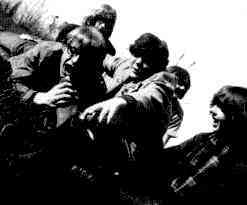 Back in 1965 I recorded a record with the Cherry Bombs and it came out on the MGM label. The name of the tune was Brother Ward (after the keyboard player). What a WONDERFUL and complete web site of PNW music history! 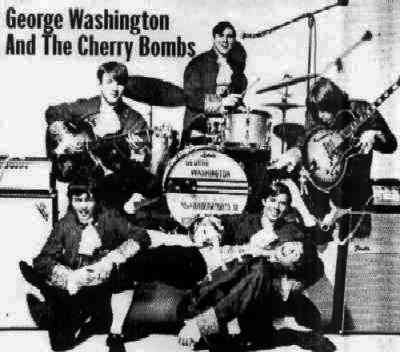 I am one of the original members of "George Washington and the Cherry Bombs". Thanks again, - your web site made my day! I was only with the one band, George Washington and the Cherry Bombs, but I enjoyed listening to so many others. It was such a fun and magical time. Al... it is YOUR website. I just serve as the "Web Slave" for all of us old NW musicians. It gets closer to complete as more of the old musicians write in. My favorite memory was 1966... Greenlake stage on the water... Sam the Sham and the Pharaohs were performing during a show that featured Don and the Goodtimes, the Sonics, the Bards , and G.W. and the Cherry Bombs. Some of the guys wandered up to the diving tower, going out on the board and began bouncing around much to the delight of the crowd and the chagrin of Sam and his Pharaohs. We had great times playing around the NW during one of the most amazing periods of music history. Charlie Lewis performed under the stage name of Charlie Mack, the name taken after one of his early rock mentors, Lonnie Mack. Ironically, I later answered an ad in the Seattle papers that simply said, “Wanted: guitar player,” without mention of the band. Our publicist was Egan Rank & Bradley, but I didn't see how they could possibly be any good in that I was told that they only had three clients, The Cherry Bombs, The Brothers Four and Shell Oil! After the Bombs, we put Marsha Rush & Lyfe together. We chose Lyfe and still choose Lyfe today!